And now you can cross Goal #21 off my list. I finally went over to my parents’ house and cut their grass. Here’s a quick backdrop to this goal. I’ve always wanted to ride a riding lawnmower since I was a kid. 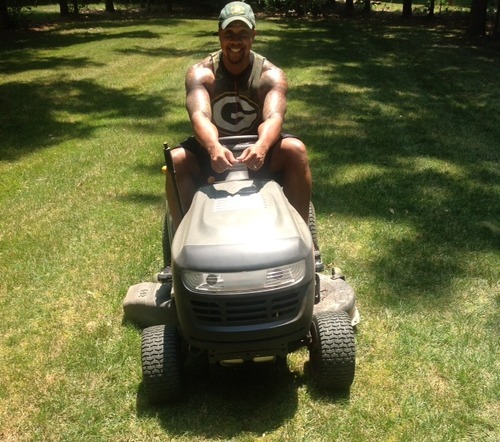 My parents always had a push mower so I had to sweat like a slave….when cutting the grass. The MOMENT I moved out of the house they bought a riding mower. Well…I did it and I looked like a black country bumpkin as well. The only problem is now they expect me to come back and do it all the time! !